A View Of The Albert Bridge At Night In London. Stock Photo, Picture And Royalty Free Image. Image 701983. 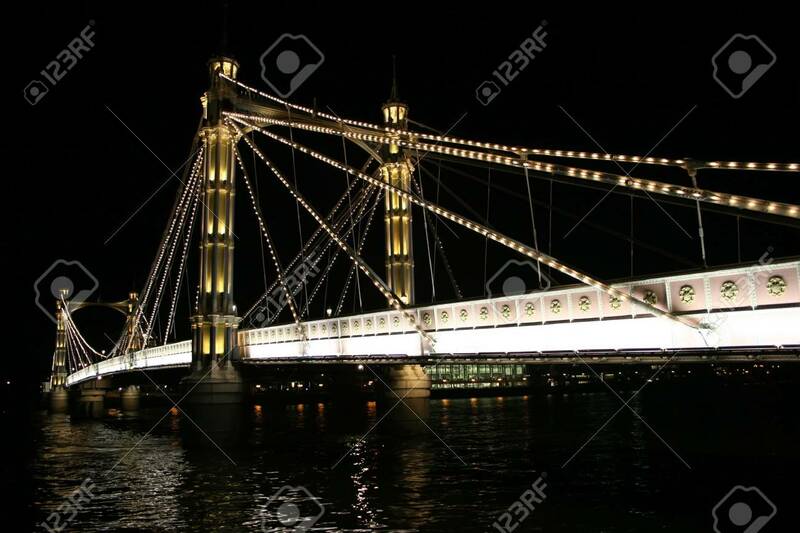 Stock Photo - A view of The Albert Bridge at night in London. A view of The Albert Bridge at night in London.